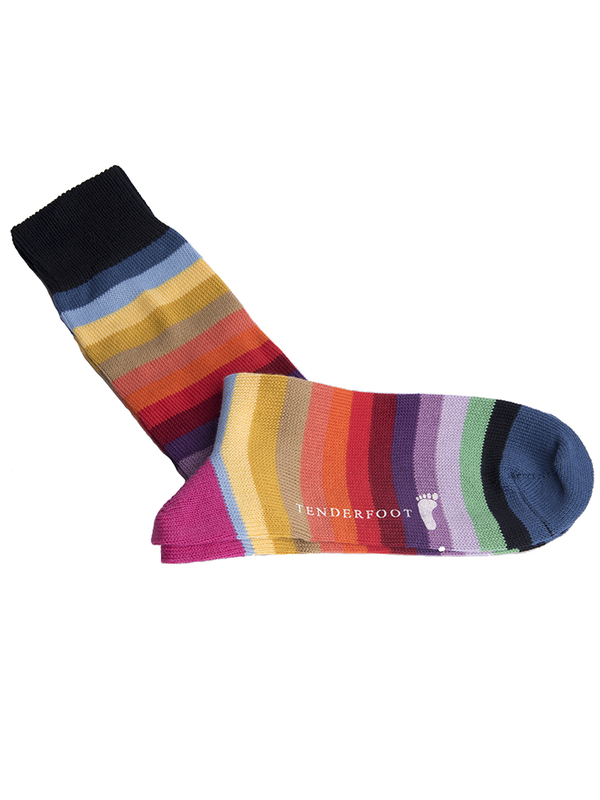 Tenderfoot Socks really do make your feet ROCK!! 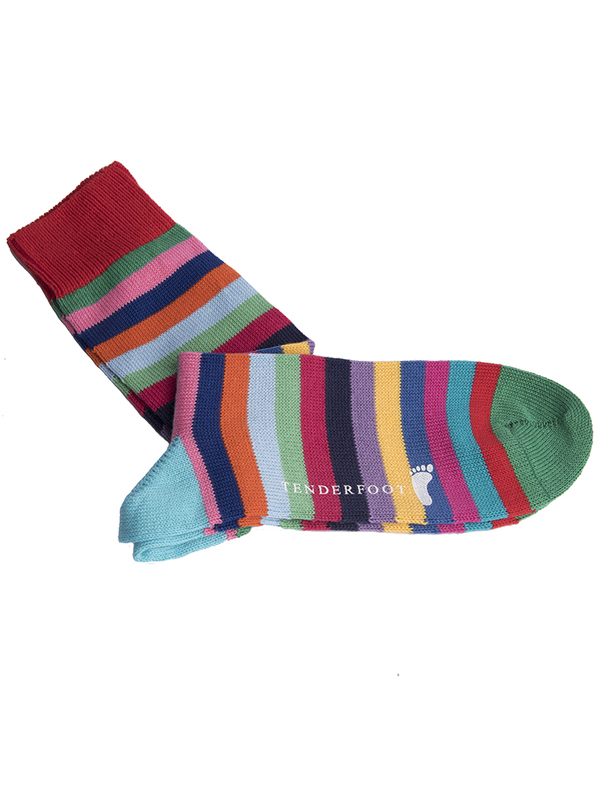 Tenderfoot Socks are made in Britain one of the things that appeals to many of our Customers. 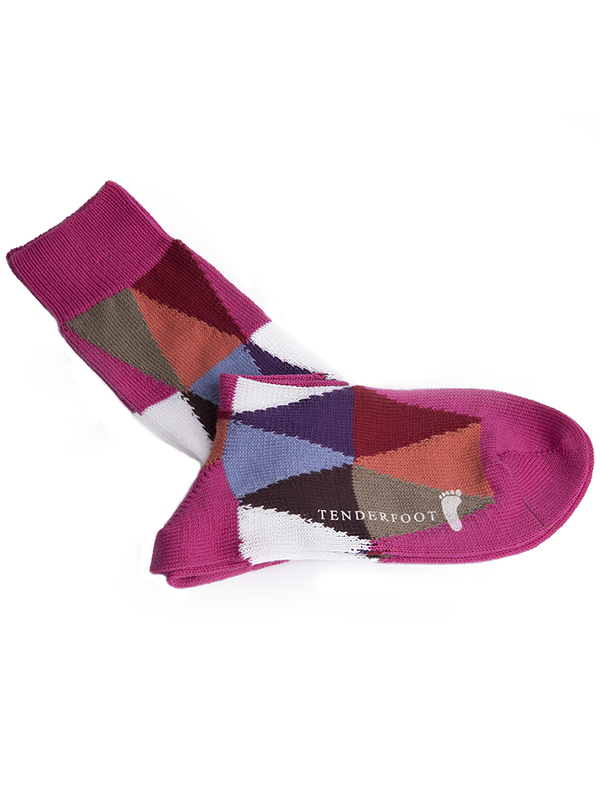 They are designed with passion and are produced using the world's finest yarns and traditional sock knitting techniques that have been used for hundreds of years. From the initial design through to development and production they are British Made from start to finish. They are bright, colourful and come in some fantastic eye catching designs. It's amazing how these socks can be such a talking point amongst those who see them. They can be work with a Business Suit to add a bit of fun or with your favourite pair of Jeans or Chinos at the Weekend. Whether for yourselves or for a gift you won't be disappointed. 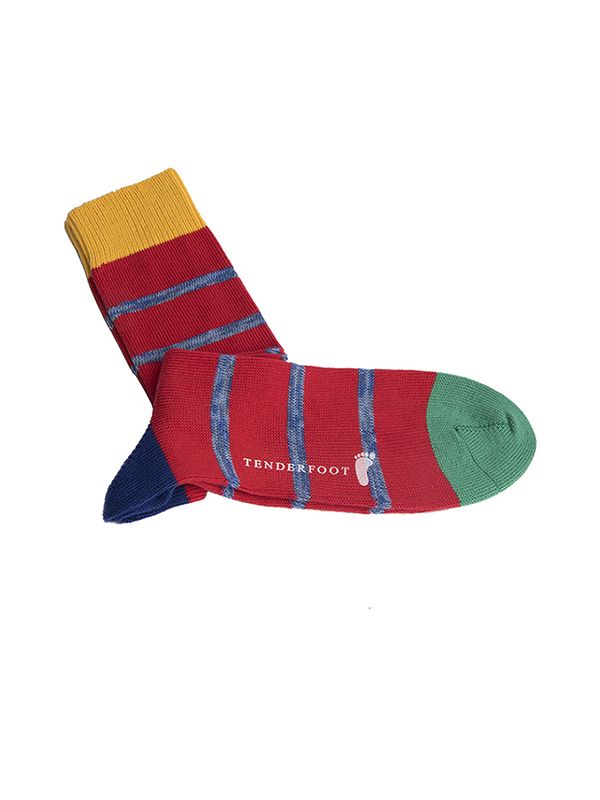 As Tenderfoot Socks say themselves they are "Superbly British Socks"......we at Symonds couldn't agree more! !